It looks like wave (v) is now underway. This subwave should complete wave (3) which will be followed by a correction (wave (4)). 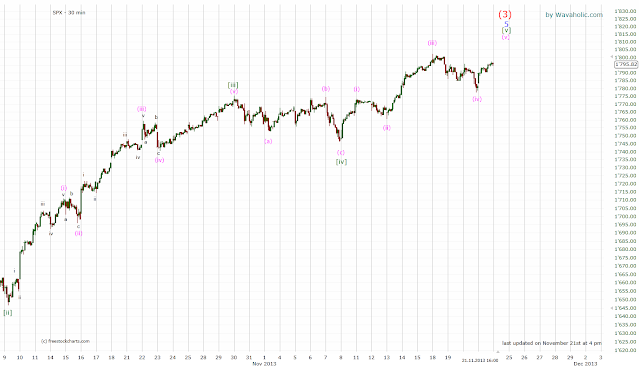 If the SPX declines below 1770, I'll turn bearish since wave (4) should then be unfolding. I'll post the long-term charts tomorrow morning.